Tyre review data from 123 tyre reviews averaging 85% over 947,274 miles driven. Positive - Shortest dry braking. Negative - The replacement Asymmetric 5 improves this tyre in nearly all areas. Positive - Good wet handling. Negative - Understeer in the dry. 2016-03-24 - Is it true that asymmetric 3 has a smaller rim protection than asymmetric 2? Just as an update to this question, we have been in contact with Goodyear regarding the rim protection on the Asymmetric 3 and the answer should be with us shortly! 2016-03-24 - When can we expect a test with the pilot sport 4, sport contact 6 and the asymmetric 3? You're unlikely to see the Sport Contact 6 in a test with the Pilot Sport 4 due to the sizes they're made in, the Continental rivals the Pilot Super Sport. The best test so far this year is the GTU test, however that missed the Michelin. 2016-04-27 - Is it true the side wall height has increased on the 3 vs the 2? As with all Goodyear tyres, the Asymmetric 3 is within ETRTO (European Tyre & Rim Technical Organisation) guidelines, which does allow for a small variation on side wall height. Whether the size increases or decreases can depend on the size. 2016-04-26 - Will the 3 be N rated for Porsche, Cayman GTS specifically, like the 2? A reply from Goodyear - We continuously work with OEM partners to develop OE Marked versions of the Eagle F1 Asymmetric 3, the tyre is currently approved on the Jaguar XF (J Marked) and the Mercedes-Benz E-Class (MO Marked). The tire will only be N rated if we gain an approval on a Porsche platform. The 94 and 98 are the load ratings for the Asymmetric 3 tyre. 94 means each tyre is rated to carry 670 kgs, and 98 750 kgs. As a rule of thumb, the high load rating tyre will create slightly more noise, have a slightly harder ride, but will offer a more sporty steering feel. 2016-09-03 - I have Swift Sport 1.6 and I would like to replace my tires with either Dunlop Sport Maxx RT2 or Goodyear Eagle F1 Asymmetric. They are similar but I can't decide. Could you help me ? Both the latest Dunlop and the Goodyear are extremely similar tyres, you'll be happy with either. We would always side with the Goodyear as we feel longer term the availability would be better. 2016-08-27 - I am about to purchase either Goodyear Efficientgrip Performance or this Asymmetric 3. I think the Efficientgrip is the older design yet has the better fuel efficiency and same wet braking distance. I am surprised by this. It is also cheaper by £10 from Blackcircles. Does the labeling stay consistent such that you can compare older tyer designs against new ones. Why would you buy the Asymmetric 3 over the Efficientgrip? I drive a 2010 Ford Focus 2.0l diesel and do about 22000 miles per year. The label tests do stay constant. Wet braking is only one performance quality of a tyre, and while it's entirely possible the F1 Asymmetric 3 and EG Performance to have the same wet braking grade, the Asymmetric 3 will have a better balance of overall qualities when you account for wet handling, aquaplaning, dry braking, dry handling etc. Sadly we've not yet driven on the Asymmetric 3! One thing to watch out for is that replacing just the rear tyres with the Goodyears could give the car a curious rear-steering feel due to the difference in sidewall strengths between the hard Bridgestone tyres, and the softer Goodyears. 2016-10-16 - I've had the Goodyear asym 2's on my old bmw z4 which were a superb drive although did have to change them fairly often. Now I've got a Toyota gt86 and considering the Goodyear asym 3, Michelin pilot sport 4, or the kumho ku39's? Any advice between them? The F1 A3 and MPS4 are very closely matched. We've not yet driven them back to back, but would say the F1 A3 would have the slight edge in comfort, and the MPS4 the edge in sporty handling. 2017-01-24 - Where are the Goodyear asy 3 tyres made ? The Goodyear Eagle F1 Asymmetric 3 is made in a variety of locations depending on the size and market. 2017-03-18 - Hello, tell me when choosing tires efficientgrip performance and asymmetric 3 for durability what will be better? Unfortunately no one has done the test to compare wear data. 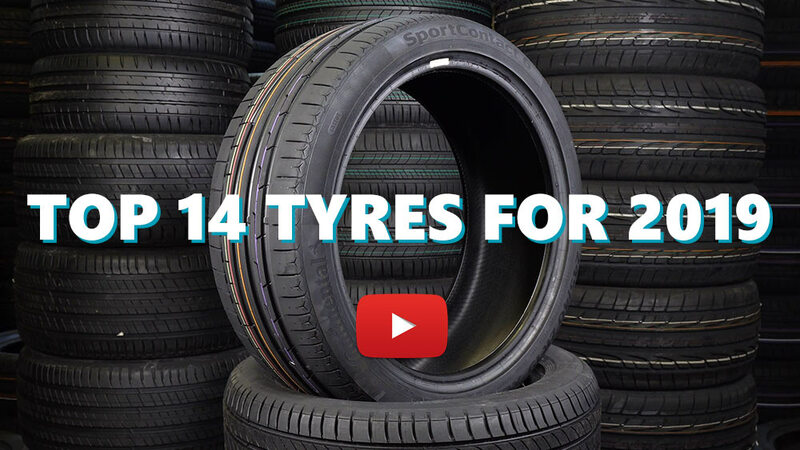 The treadwear rating of each tyre should give you an indication of which will perform better. 2017-06-08 - I am about to renew the front tyres on my 2014 Ford Focus st. The car came with Goodyear Eagle F1 Asymmetric 2 tyres. Should I stick with those or go for the Asymmetric 3 tyres. The Asymmetric 3 is the natural replacement for the Asymmetric 2 so it would make sense to upgrade to the new and improved model. 2018-01-04 - Are these run flat tyres? The Goodyear Eagle F1 Asymmetric 3 has a runflat option in certain sizes. Personally I would go for the A3, put them on the rear and wear through whatever is left as quickly as possible on the front so I can have 4 matching tyres. Your dealer is correct, the 92 is the important part, not XL. Many people switch from the runflats to the Goodyear Eagle F1 Asymmetric 3 and speak extremely positive of the improvements they bring. 2019-03-21 - Looking at getting some 215/45/17s for my car. Some websites show XL rated on the 91Y tyres some don't. Are they all XL tyres or are some not? I believe they are all XL in that load and speed rating, however it's worth double checking you're not looking at OE versions of the tyre. I previously had the asymmetric 2's whilst my car runs about 280bhp and 450nm of torque and i hardly ever got any wheel spin with them. On the other hand with asymmetric 3's i get a lot more wheel spin so i would definitely not buy them again and I'd stick to tglhe previous ones..
Have you driven on the Goodyear Eagle F1 Asymmetric 3 tyre? Please help millions of other drivers make an informed tyre choice and pick the correct tyres for their car by submitting your review of the Eagle F1 Asymmetric 3. I bought these tyres because i had no other premium decent option at the time. They replaced my Pirelli PZ4's tyres, which were absolutely awesome. I ran then for one summer, and I lost 1mm of thread in about 8000kms made. They are pretty well balanced tyres, low road noise and road resistance, good dry and wet grip, but they have a big disadvantage: sidewalls. They are very soft, squishy, making the car very confortable, but not good for fast driving... the steering isn't as precise as it was with the Pirellis, the car wobles at high speeds and you don't feel very safe in corners, even so the grip well. And, in terms of look, they also seem low pressured, with a "belly" over the rims edges, no matter how much bars they have. So, I may buy them again, but not for this car. Seem to wear extremely quickly. I drive hard but still would expect more than 9 months/8000 miles out of them! They've just worn down to the big that signifies a change. They do grip well however, especially in the wet, they do have a tendency it seems to understeer a bit but this is neglible and arguably the cars lack of mechanical grip. Will upgrade to PS4's next so that will tell the difference! great tyre in both wet & dry conditions this is my third set on this car when your a good thing stick with it comfortable quiet & good feedback.